OK, back to reality, sort of! 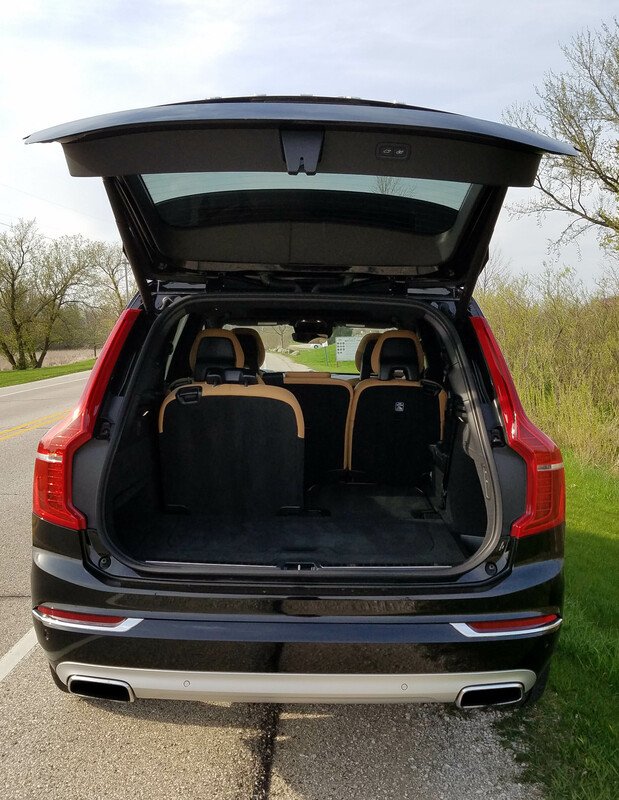 The XC90 T6 is a big ute that includes a third row seat so you can squeeze up to 7 folks aboard, plus it’ll tow 5,000 lbs. making it more useful than some large utes. But the power its supercharged and turbocharged I4 creates is nothing short of amazing, considering this is a 4-cylinder engine. 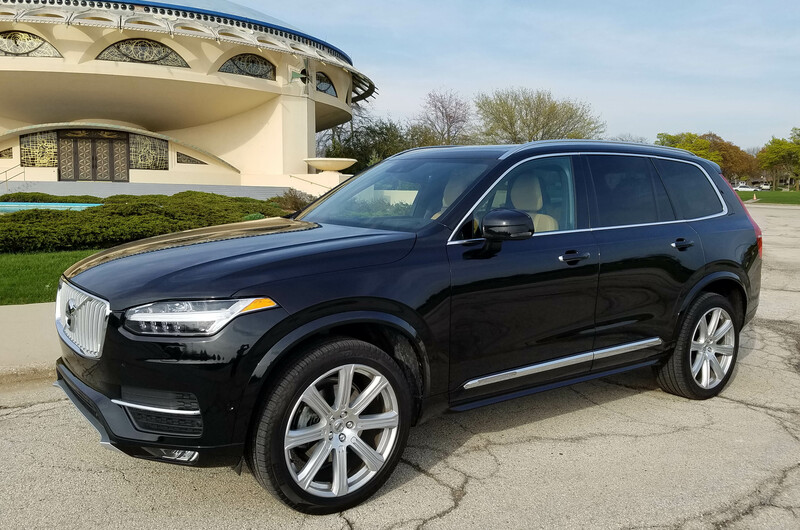 Like others with selectable drive modes, the power is tamed in the Eco and Normal modes, but still, the Volvo will get up to highway speeds smoothly and quickly in Normal. Switch to Dynamic mode and the Volvo becomes a beast. Really! Even in normal driving the engine revs higher and torque builds quicker. 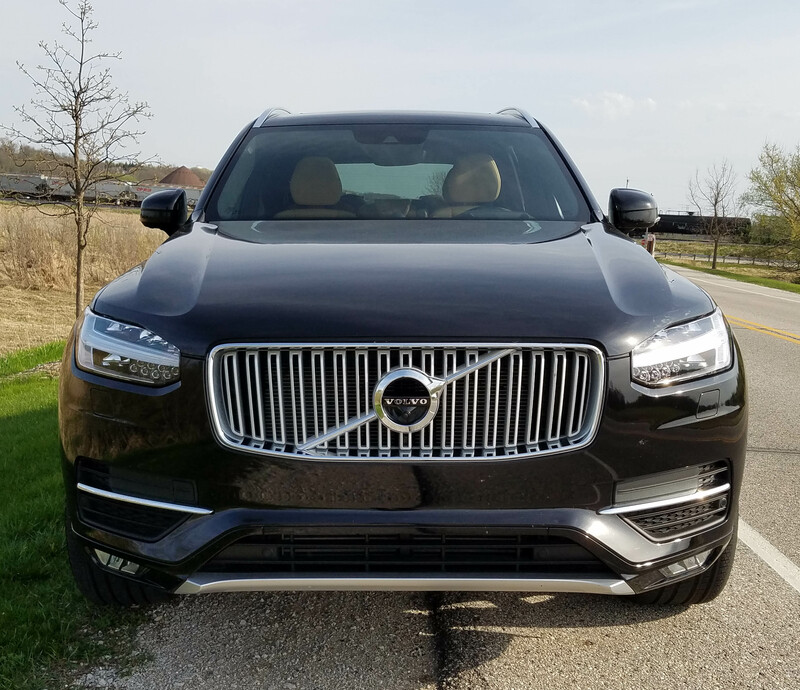 But drop the accelerator and the XC90 seems to leap into hyper mode. 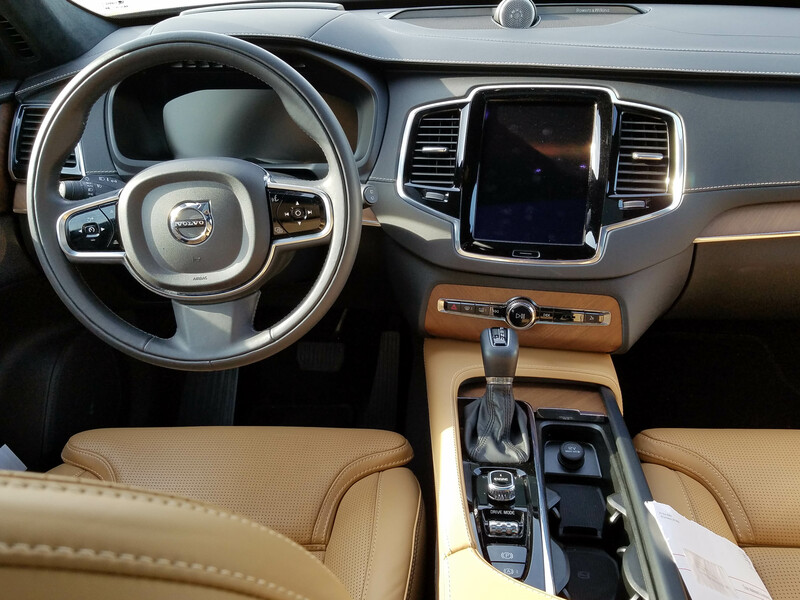 You’ll be pushed back in the comfy Nappa leather seats and the crossover feels as if it launches off its rear wheels like a horse galloping toward the open range. Ride is superior too with double wishbone suspension up front and multi-link in back. Roads are smoothed and tamed. This was aided serious by four-wheel air suspension, a $1,800 option, on the test ute. I’d spring for this! Handling is good for a big ute with fairly responsive steering slightly helped in Dynamic mode, but fine in Normal for all, well, normal driving. Braking is first rate too and start/stop is standard to slightly aid gas consumption. Still, I got only 20.2 mpg in a week’s drive about evenly split between city and highway. AWD aids in slippery conditions, and seems to do a good job of helping grip when in Dynamic mode. Note too the Inscription comes with 20-inch tires, but the test ute added giant 21-inchers with fancier alloy wheels for $750. As much fun as the performance is, the splendidly quiet interior, black leather dash and door trim and light brown walnut inlays in the dash, doors and atop the console deliver a high-end luxury feel. 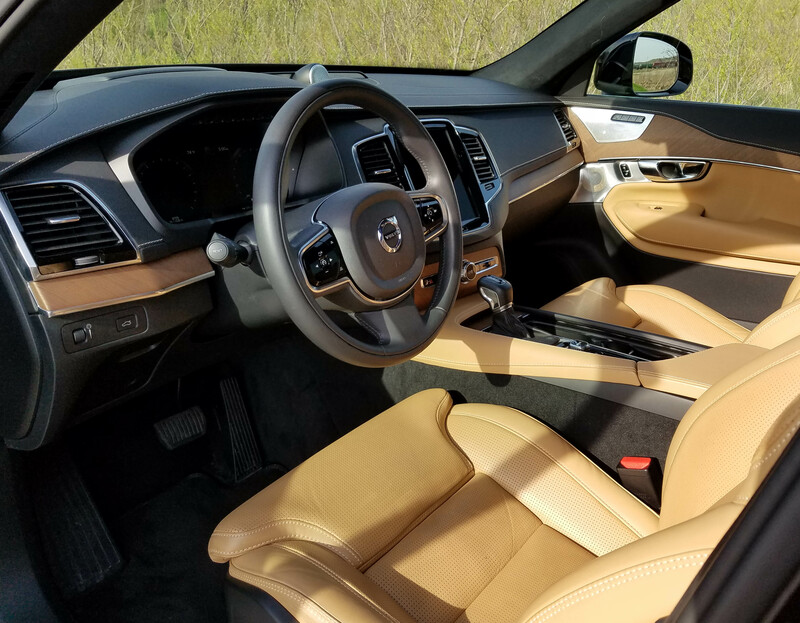 Perforated butterscotch-colored leather seating is well formed and supportive, near perfect, and of course is powered and easy to adjust for both front seats. Both also feature three memory settings. Front seats are heated and cooled and rear outboard seats are heated. The leather-wrapped steering wheel is heated too, but oddly it’s a manual tilt/telescope wheel. I expect power at this price point. Overhead is a giant panoramic sunroof with screen and the center stack mounted info touchscreen is large, nine inches tall. This is infrared controlled so you can use it when wearing gloves, but I found the screen a bit too touchy, sometimes reacting as you moved your hand it before you reached the touch point. The screen also be changed, like a tablet, by brushing the screen sideways with a hand or finger. That big screen is particularly nice when backing up and it shows a 360-degree view with the surround view camera that’s part of a $1,950 option package. Also included in that package are retractable rearview mirrors and auto-dimming interior and exterior mirrors, plus blind-spot warning and cross-traffic alert. 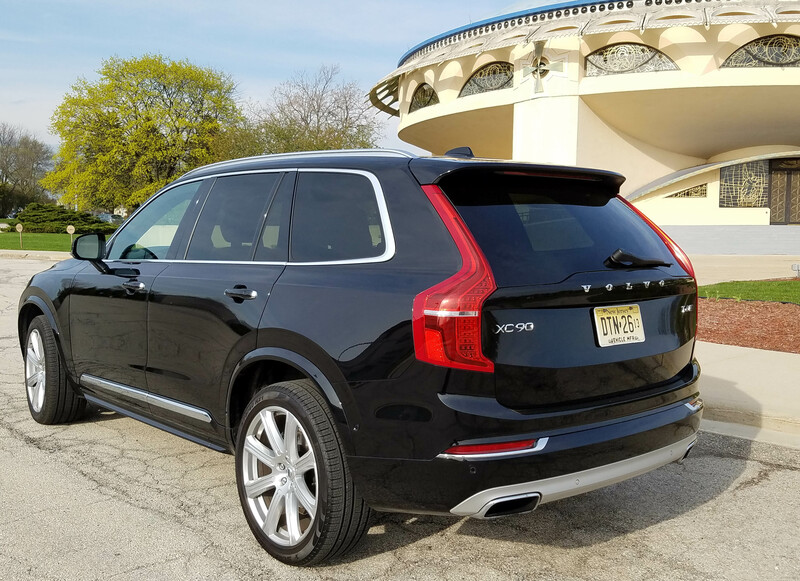 Need more bells and whistles, well the $1,950 climate package includes a head-up display and that heated wheel and rear seat, plus heated washer nozzles. The $1,800 convenience package includes semi-autonomous controls to keep you in your lane and from running into a ditch, plus adaptive cruise control, HomeLink, 12-volt outlet in the cargo area and park assist, among others. A sensuous sounding Bowers & Wilkins premium sound system with CD player adds $2,650 and a luxury package with leather sun visors, back massage in the front seats and special headliner adds another $2,900. I found the back massage function, run through that big dash screen, to be annoying, not relaxing. Included with the Inscription package are active bending LED headlights that help the driver see around corners, plus an automatic high-beam headlight system that worked quite well. It also adds tread plate illumination and the amazingly named Thor’s hammer daytime running lights that feature a T-design (as in Thor)! Rear door side sun screens are part of the package too. 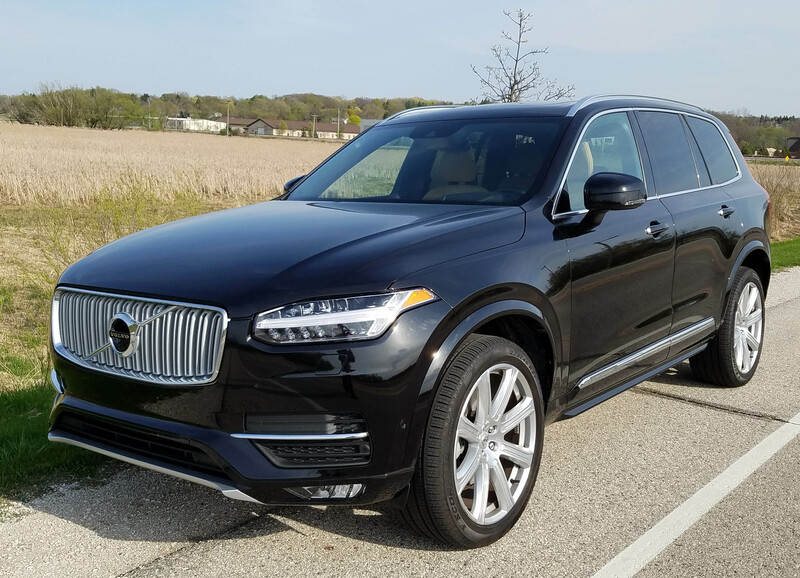 One thing I wish the XC90 included is a running board. The step-up height is considerable as the ute has a 9.4-inch ground clearance. This was a bit of a stretch, so a running board could ease entrance and exit. Another short person likened the exit to parachuting from a small airplane. There’s no denying though that Volvo has created a lovely crossover/ute with a wide range of options and prices to suit many luxury-leaning buyers’ virgin leather checkbooks. At its lower trim levels it’s a bargain. It becomes quite pricey as you add its high-priced options. Hits: Powerful big crossover with decent handling and superior ride. 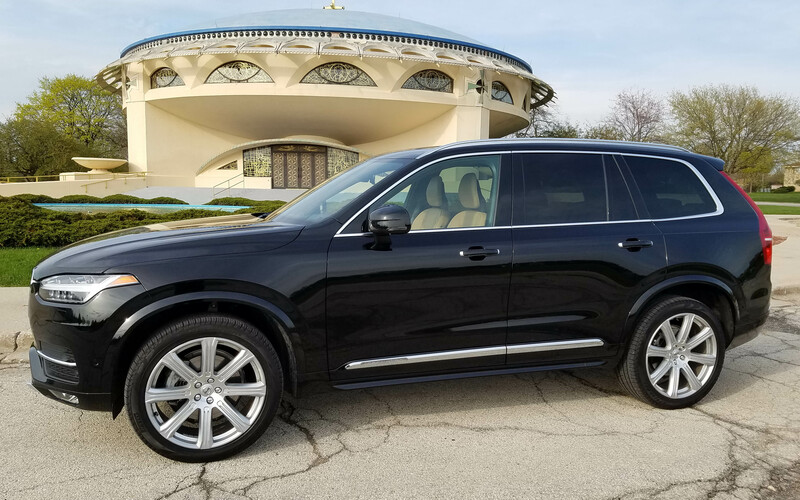 Super quiet interior with giant sunroof, big info screen, all the requisite safety devices, heated/cooled front seats, heated rear seat and steering wheel. T6 and above comes with third row seating. Misses: Tilt/telescope wheel is manual not power, touchscreen is too touchy, step-up height is considerable, needs a running board. Price starts reasonable, options make it pricey.